There are some who might claim incidences of interference happen so rarely that such does not warrant industry attention. This is not the case and points to the challenging work of satellite operators who usually move transmissions to another space to immediately restore the service to the user. In the short term, this does ensure continuity but only results in vast amounts of unusable spectrum. Fortunately, and on the back of various initiatives, there are many new technology solutions that look promising in terms of solving, or at least lessening, the problem of interference. Carrier ID — The Hoped-For Solution? The creation of Carrier ID (CID) was the result of the satellite industry attempting to uncover a solution for broadcasters who were struggling with disruption-causing interference. In fact, the IRG was in league with the manufacturers that successfully lobbied the DVB to create a specification and allow CID capabilities to be implemented in all new modems and modulators as standard. At present, the IRG has also encouraged operators to integrate CID detection across networks — there remains much work to do to encourage users to replace legacy equipment and witch Carrier ID on. Although CID enabled, most equipment is shipped with the setting turned to ‘off.’ As an embedded code containing contact information, CID enables satellite operators to rapidly and easily identify the source of an interfering carrier. IRG is now working on a Carrier ID alternative, a “dongle” that will simply connect externally to any modulator and will cater to all types of services, including those less than 128 Kbits — that should appeal to the military and broadcasters alike. In addition, the IRG aims to work with manufacturers to default CID to ‘on’ at shipment. Carrier ID has been the hoped-for solution but the take-up of the technology is rather slow. On one hand, in regular cases of interference caused by human error or equipment failure, CID is a quick way of resolving interference. Do not forget that most cases of interference are caused by those mentioned reasons. In an instance where interference is affecting a transmission, a simple call is all it usually takes to alert a user to a problematic carrier and to resolve the issue. The real by-product of CID is that the technology and methods to detect CID have led to more products being developed to mitigate interference directly, from cancellation to automatic avoidance. The technology has also led engineers to develop ways to resolve burst-mode VSAT transmission issues quickly as we shall see next. Have New Tools Produced the Desired Effect? The inception of burst-mode networks using Very Small Aperture Terminals (VSATs) was a double-edged sword for broadcasters. 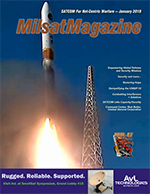 The terminals presented unique opportunities for Satellite News Gathering (SNG), but at the same time, the VSATs themselves have also contributed to higher occurrences of satellite interference than any other system. Many of IRG’s members over the years have reported endless cases of interference when mobile VSATs are in the area. Mobile VSATs are prevalent in all sectors of the industry, especially given the growth and size of the provided networks. This now includes Outside Broadcast (OB) trucks which present a significant problem, mainly because the terminal is constantly on the move. Most cases of VSAT interference stems from misaligned terminals, where the margin for error during setup is small, resulting from human error or manufacturing standards being reduced to keep costs low. Whether for military or broadcast professionals who only possess minimal training, this combination of underlying issues is problematic. With the ever-increasing reliance on VSAT by the military, agencies, governments and commercial sectors, the reliance on mobile VSAT looks set to dramatically increase. Thankfully, IRG members have been pioneering methods and products designed to limit the extent of VSAT interference, and in some cases to solve this challenge altogether. Different methods and tactical choices can be implemented in order to limit VSAT interference. One such tactic is to move to circular, polarized higher frequency bands. This means users have no need to manually adjust polarization and that reduces one element of interference caused by human error. Unfortunately, rarely is a solution perfect, and the result of high frequencies is poorer cross-polarization performance. A multi-faceted problem needs a multi-solution approach and this is where the innovative products are delivered by IRG members. One such product comes from Kratos and is called SatGuard. This interference monitoring system was developed due to the work the company has done with CID. As a result, SatGuard is one of the first mitigation tools that can effectively and quickly resolve VSAT interference for the broadcaster, and other users. Another product is Satmotion Pocket from Integrasys and has proven to be highly successful at preventing the problem of human-induced VSAT interference before such even occurs. Satmotion Pocket does so by assisting non-satellite professionals during the setup procedure to correctly install equipment to prevent any errors during operation. Uniquely, as a downloadable app, Satmotion Pocket feeds back measurements and error alerts to any mobile device via an easily-navigated interface, acting as an effective monitoring tool as well. Currently, identifying the origin of an interfering carrier could take days, weeks or even months. These investigations also occupy manpower and resources from other revenue-generating activities. One would hope, in most cases, that users have Carrier ID switched on, but this is not always the case, particularly in the case of a jammer. As a result, many of the mitigation tools conceptualized recently only work to either locate sources of interference or lessen the effects of interference when it occurs. Geolocation is one of the former. In the past, Geolocation was an expensive tool, but has come a long way in a short space of time. IRG member Siemens Convergence Creators has now developed a Satellite Geolocation Service that now covers practically all of Earth’s inhabited land masses. By providing and operating the service, Siemens ensures operators no longer have to invest money into infrastructure and training personnel to take advantage of this effective solution. The service also boasts localization success rates of more than 60 percent compared to that of previous localization systems at a hit-rate of around 30 to 40 percent. Collecting accurate and reliable ephemeris data, geolocation at sub-kilometer accuracy could be obtained if investment in the technologies continue unabated. Another organization working to improve Geolocation is the Space Data Association (SDA) whose Space Data Center (SDC) 2.0 is currently in development and will include geolocation solution sets. This will mean that when an operator needs to perform a geolocation, the system will be able to identify the best match for a neighboring satellite to enable geolocation to be performed. As most operators are unlikely to always have a second satellite nearby, this will drastically reduce the time to identification and resolution. Big Data and Machine Learning — Where will they Take Us? Big Data is a ‘big’ concept, no pun intended. Essentially, for IRG, this involves making effective use of the organization’s own data as well as referencing the world’s vast quantity of data, and then asking the correct questions to help to more efficiently predict and resolve occurrences of interference. Machine learning goes hand-in-hand with this as a method of analyzing data using algorithms to find hidden patterns or solutions. Data is, quite literally, everywhere. The analyst firm, IDC, predicts that by 2020 the amount of data around the globe will equal 40 zettabytes. Consider for a moment that Mark Liberman calculated the storage requirements for all human speech ever spoken at 42 zettabytes if digitized as audio. If every statistical piece of information within our satellite industry is retained, Machine Learning can be applied to help predict future incidences and, ultimately, solve them in the first place. 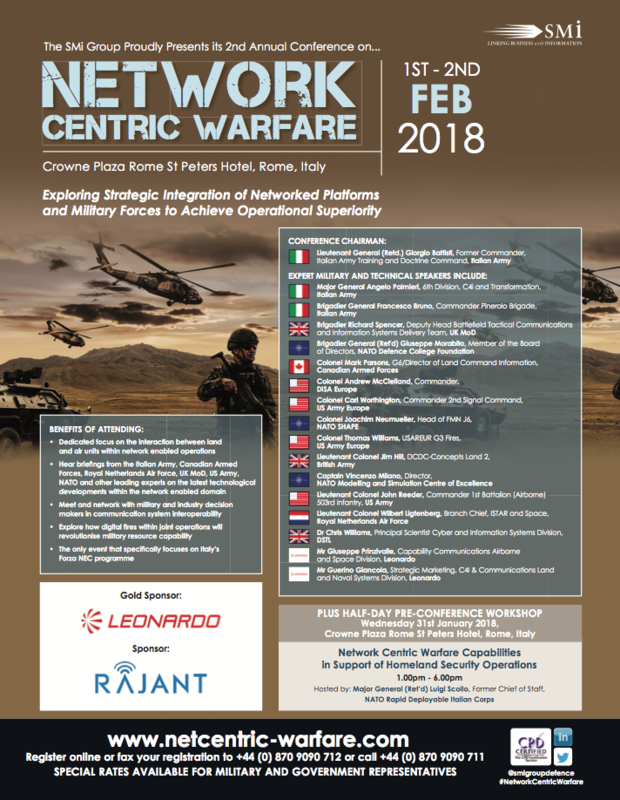 With the growing complexity of networks and particularly for those experiencing intentional jamming due to hostile and/or political reasons, analyzing data from across the globe to predict potential incidences of interference would certainly benefit militaries and governments as well as broadcasters. The satellite industry has long been considered a forerunner of new technologies — IRG has definitively recognized the benefits of Machine Learning as the base of future tools using Big Data to improve satellite communications themselves as well as to ensure SATCOM’s reliability by solving interference and ensuring reliability. The satellite industry plays an essential role in many operations within numerous sectors and must “keep up” to remain relevant. As innovation continues to ensure satellite communications are consistently seen as the reliable and efficient choice for users, military and commercial, the same must be done in terms of corresponding mitigation technologies. If the problem is ignored, perhaps users such as military comms specialists and broadcasters will look elsewhere for less expensive, better quality and more reliable options. By continuing to develop solutions, interference could well become a problem of the past. In the meantime, the small victories should be celebrated, all the while ensuring current solutions do not stagnate but continue to advance for the benefit of all. Martin Coleman is Executive Director, IRG, and spearheads significant initiatives and introduces new technology and processes to mitigate all types of satellite interference: VSAT TDMA Systems, BIG Data; a reference guide to Interference; sorting out difficult cases, including new standards and processes within the Geolocation industry; he also assists the ITU in dealing with Harmful Interference and implementing Carrier ID (CID).